The two staunch conservatives running multibillion dollar company Koch Industries are involved in creating an advocacy group tasked with taking down electric vehicles, The Huffington Post reports. Thought cars were your escape from 2016 politics? Ha. Charles and David Koch’s company is the second largest private company on Earth, and a firm that got its start in the oil refining business back in the 1940s. The brothers are both very vocal conservatives, speaking out against legislation aimed to reduce global warming. The organization is expected to spend about $10 million dollars per year on research and media coverage aimed to discourage government incentives on EVs, and to strengthen public perception of petroleum-based fuels in transportation applications. 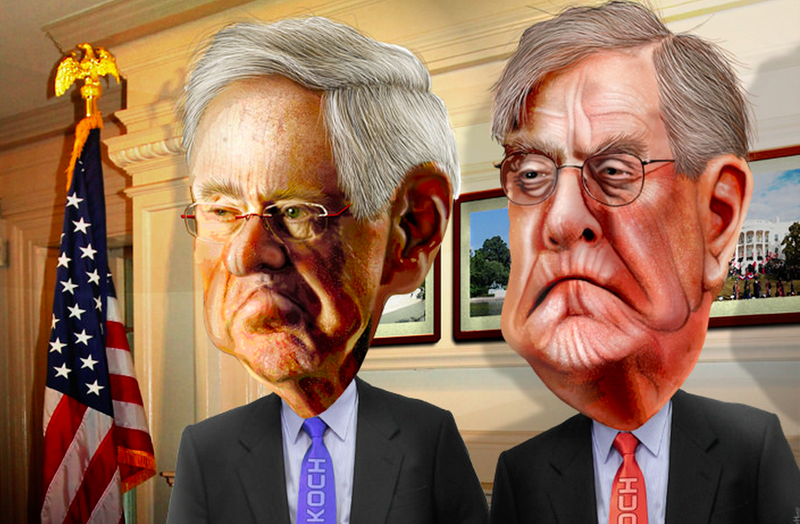 The Koch brothers have repeatedly voiced skepticism that fossil fuel use contributes to global warming, and have long maintained that subsidies and tax breaks for alternative energy don’t fit with their free-market libertarian ideology. James Mahoney has teamed up with former head of the American Fuel and Petrochemical Manufacturers and prominent lobbyist Charlie Drevna, and the two have supposedly flown around the nation speaking with major energy company executives and wealthy conservative donors in an attempt to get the yet unnamed group up on its feet. The new private interests group will be up and running by this spring or summer, and Koch Industries will be lead financier, according to The Huffington Post’s sources. Okay, so we’ve got billionaire oil tycoons trying to stifle electric vehicle development. That’s probably the least surprising thing you’ve read all day. What is surprising is that Charles and David Koch went to MIT, so you’d think they’d be rational, logical human beings who base their ideas on science and, you know, facts. But to offset their education from world’s finest institute of technology, the Koch brothers are intransigent right-wingers. It’s a weird combination, as right-wing (and left-wing) nutjobs tend to ignore anything resembling facts, and engineers and scientists tend to base every decision upon them. But alas, money talks and political affiliation clouds judgement, so in the wake of C.A.F.E. legislation, EV subsidies and Obama’s newly proposed $10-a-barrel oil tax, you can see why the two billionaires are getting a little hot around the collar. They’ve got a horse in the race, and our government is feeding the other steeds steroids.